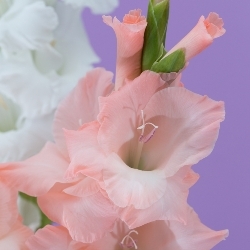 Hybrid Gladiolus are tall tightly packed spikes of beautiful ruffled flowers with contrasting throats that will brighten any border. 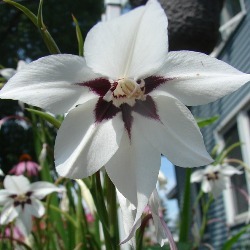 Also known as “Sword Lily” or “Iridaceae,” they open from the bottom up and bloom around 2 months after planting. 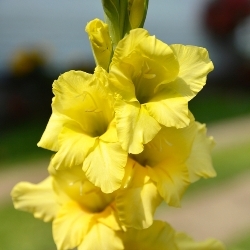 So easy to grow -- you can plant after the last frost day every 3 weeks for cut flowers all summer. 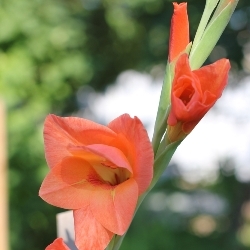 When corms are properly fertilized they will continue to bloom year after year. Zones 8-11. Dig and store in colder regions. 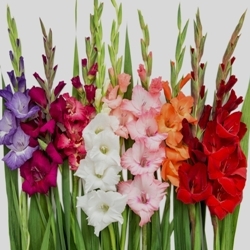 A nice variety of glads. 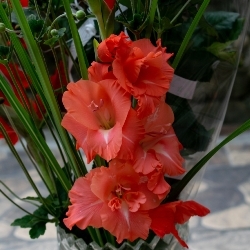 Our Gladiolus Collection contains 25 each of red, white and pink Gladioli individually packaged and labeled. 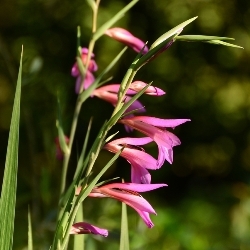 Gladiolus Byzantinus, also known as Jacob's Ladder, has clusters of large rose-purple flowers on wiry stems and dark veins and edges. Naturalize well. This item ships in Fall. 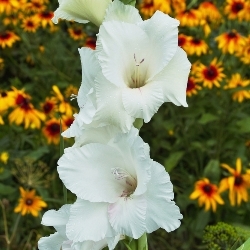 To order Spring Planted Japanese Iris, please see http://www.marysgardenpatch.com/gladiolus. A unique addition to your garden.